Turkish Airlines flights from Oslo to Malaysia, Thailand or Vietnam from only €358! JUNE! Cheap flights from Oslo to Malaysia for only €352! HOT! Open-jaw flights to Kuala Lumpur from Oslo, returning to London from just £167/ €190! 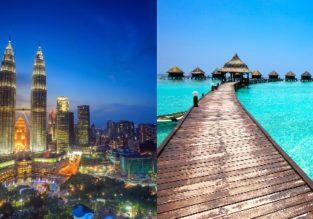 Malaysia and Maldives in one trip from Oslo for €454! Add Qatar for only €53 more! 5* Qatar Airways flights from Oslo to Malaysia for only €330!